Beautiful eyes , every woman’s dream and most of us go all out to accentuate the eyes we have been born with , be they bright , big and beautiful or small and dull. And for both , two instant pick-me-ups are mascara and the kohl or kajal. 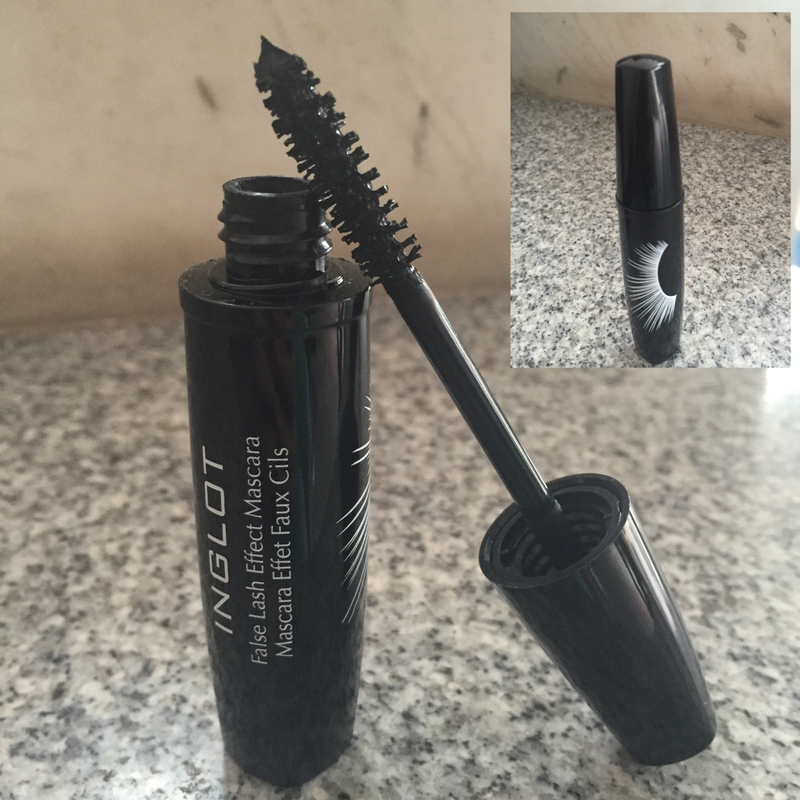 This Inglot False Lash Effect Mascara is my most coveted cosmetic now , for the results it gives. I chanced upon this amazing mascara in Mumbai at a mall. Inglot brand has been on my mind for long , they shut shop in Chennai some time back but you can get it online. False eye lashes have also been on my list and I walked into this Inglot outlet looking for them. The sales girl quickly saw that I was ill at ease , just watching her demonstrate the method to fixate the false lashes with the glue et al. She went on to swish this mascara , telling me how close using this could get to the false eye lash effect. A couple of sweeps on my lashes and I was willing to pay for it. So yes , this Inglot False Lash Effect Mascara has been most satisfying ! I have used several other brands , but none can beat this so far. With it’s perfectly black intense colour and clump-free formula , it gives that feel of volume and length. The brush is well designed to reach the roots of the lashes , combing through gently as you sweep it along the lashes. It is smudge-proof but not water-resistant ( thankfully ) and can be easily removed with a makeup remover. I am one of those that use Johnson’s baby oil to remove any form of makeup , even if it means an extra round of cleansing. I make it a point to say a few words about any product’s manufacturer to give credence to the product’s claims and let my readers judge for themselves. Inglot is a reputed Poland company that has made a mark in the cosmetics industry with the latest scientific technology married to high quality ingredients. Inglot works with world-renowned makeup artistes and colour consultants to bring to the market the very best cosmetics in colours and texture. I know a lot of women who still have reservations about using mascara , in the assumption that it is harmful to the eye-lashes. Allow me to clear the misconceptions and offer a few tips. Mascara per se does not damage the eye-lashes but improper care before and after mascara application does. Will come to the tips later. Cosmetics manufacturers are under strict vigilance now the world over and most are careful and they do use ingredients that are less harmful than earlier times. Mascaras come in two variants , regular and water-proof. Both can dry the lashes , so it is wise to choose those types that contain conditioners or moisturizers. There are two-step mascaras available that comprise of a base conditioner as the first step and a pigmented mascara for the second step. Not all brands have these , you will have to look around. You can also buy an eye-lash serum and apply that as base coat. Inglot has one such. Some cosmetics brands have come up with products like lash building primers and lash plumping serums. Water-proof mascaras are to be used sparingly , for special occasions like weddings etc or if you HAVE to wear mascara for a swimming pool party !!!! Or if you are an actor and have a rain dance to do or cry for a scene , but then there are professional makeup artists to take care of that ! They contain a chemical called dimethicone copolyol that helps in adhering the product in wet or humid conditions. So decide for yourself. By the way , the shelf life of mascaras is 4 months max. Chuck it thereafter and buy a new one ! Avoid applying too thick or several coats of mascara. Two is fine. Apply from roots to the tips to get a uniform look. Avoid starting from the bottom lashes , product may come on too thick , making the lower lashes too dark and unnatural. Avoid using too light or too dark a shade for your complexion. Avoid blinking eyes too hard soon after application , it will cause smudging. Apply mascara last. Always curl your lashes before applying mascara , curling them after application may cause them to break. Must , must , must : Remove mascara before going to bed at night. Keeping it overnight will make the lashes dry and brittle and break them. You may also catch infections. Use small , gentle motions while removing mascara or any eye makeup. Don’t tug , pull or rub eye area. Use gentle hypoallergenic eye make-up removers to remove your eye makeup. Please , please don’t share mascara. Toss your tube of mascara out after the 4th month of opening it. Allow your eyes occasional breaks from mascara , you are after all coating them. We all love mascara and the way it adds drama to our eyes. But use it wisely to keep eye-lashes healthy and safe. 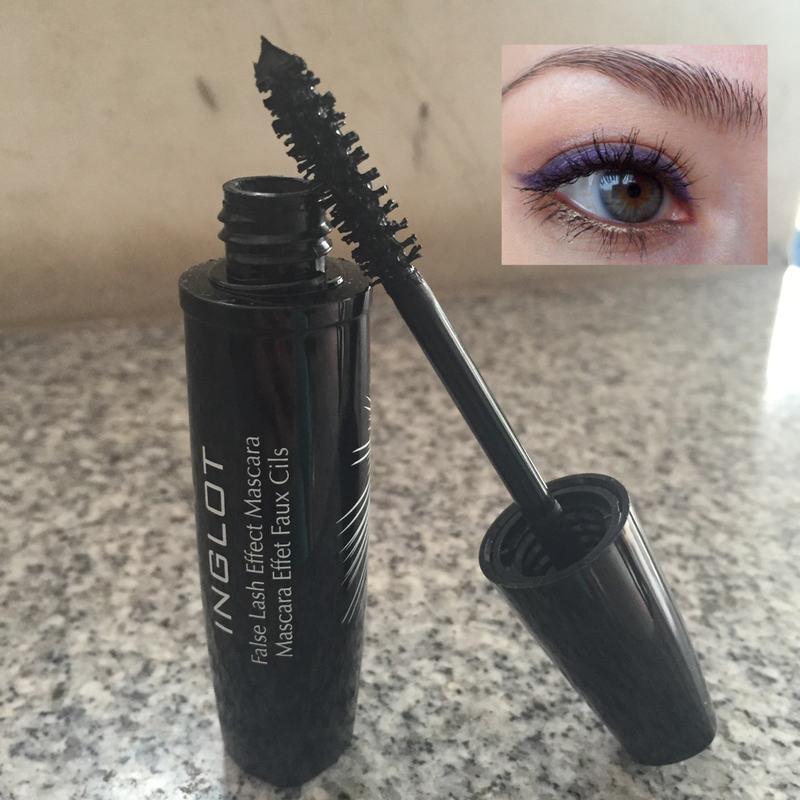 Inglot False Lash Effect Mascara – loving it ! ← Cee’s Odd Ball Challenge – Two feelings and an object !